CAC化粧品 ナチュラルライフ ヘアケア スキンケア Colorz-O | ::MLB WSCS / Mr.clutch H.Matsui ! MLB WSCS / Mr.clutch H.Matsui ! 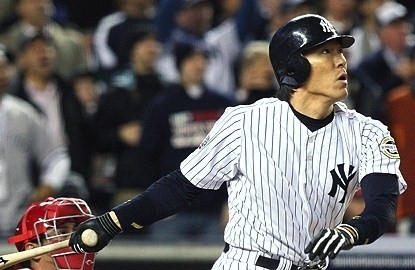 "My first and foremost goal when I joined the Yankees was to win the world championship," Matsui said. "Certainly, it's been a long road and a very difficult journey. I'm just happy that after all these years, we were able to win and reach the goal that I had come here for." Matsui put the Yankees back on top with a hard-fought at-bat against Martinez in the second inning, belting the eighth pitch for a high, arcing drive that landed in the second deck of the right-field grandstands -- the third home run of this World Series for the Series MVP. "Matty has been a clutch player ever since I met him," Girardi said. "Again, he was just clutch. We missed him dearly last year. It just shows you the determination and heart."